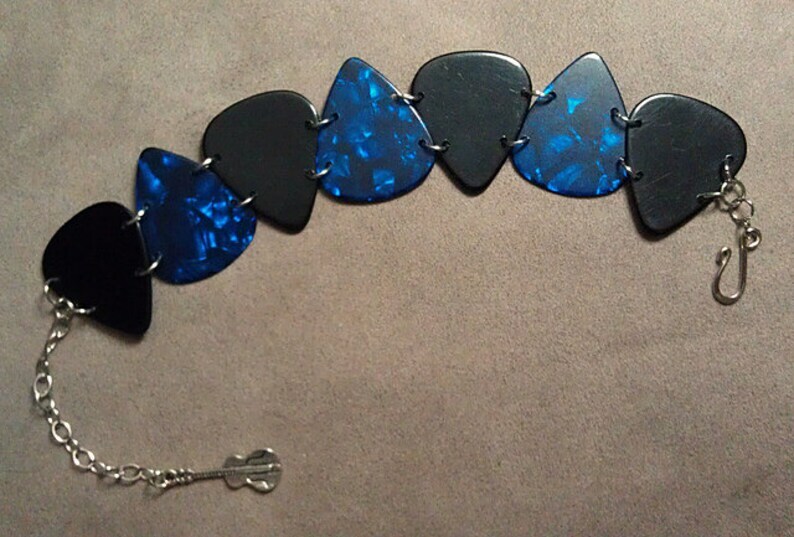 Genuine guitar pick bracelet with nickel free hardware. Bracelet is crafted with a 2" extender chain, so will fit from 7" to 9" wrists. My signature guitar charm dangles from the end of the extender chain, making it very easy to put the bracelet on yourself.